In this musical fantasy, a young princess gets fed up with her life as the king's girlfriend, so she heads off to a magical island where a queen is hatching a sinister plot. The film is the second in a Disney made-for-TV franchise. Dove Cameron, Cameron Boyce, Sofia Carson, Booboo Stewart, Mitchell Hope and China Anne McClain star. 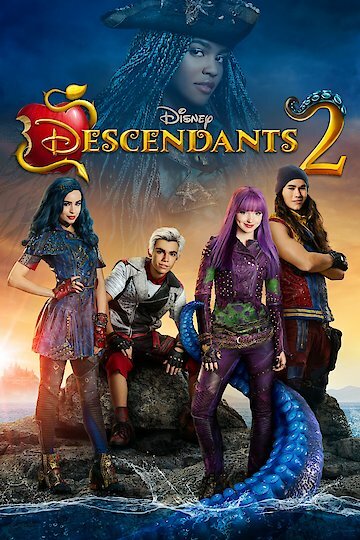 Descendants 2 is currently available to watch and stream, buy on demand at YouTube VOD online.